Hi everyone! 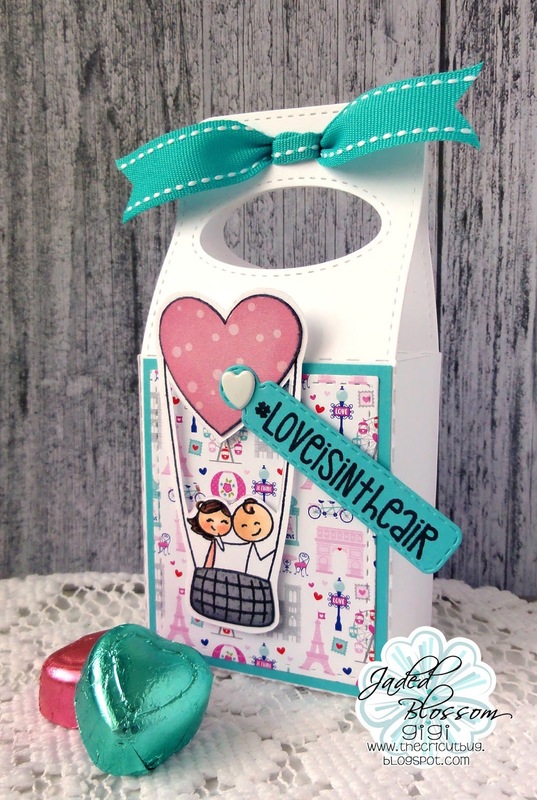 This is GiGi from The Cricut Bug and I am sharing this Valentine Treat Box I made using my Jaded Blossom supplies. 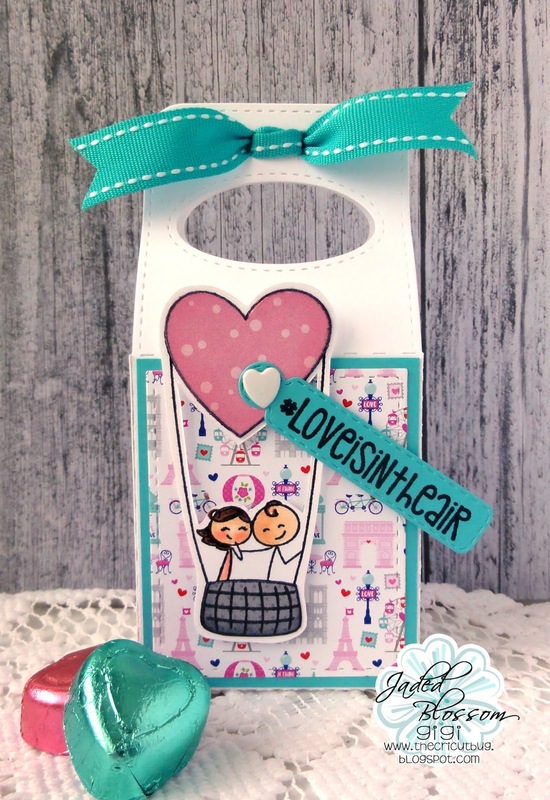 I started this project with the Gable Box Die and cut it out. I added an extra mat to the front and tied the box closed with some ribbon. I stamped and half colored/ half paper pieced the balloon couple from the Date Night stamp set. I added the tag cut from the Mini Tag Dies and stamped the sentiment from the Cupid Gothcha freebie stamp set. 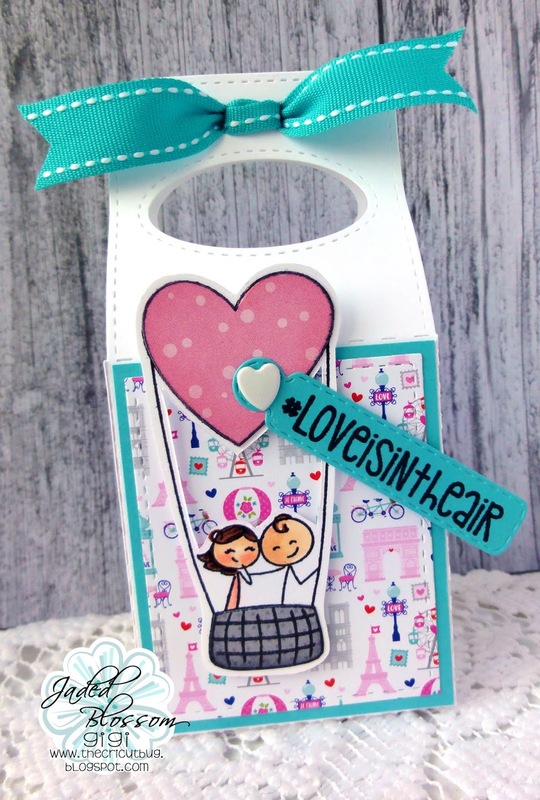 To finish, I attached the tag to the balloon using a heart brad and added it to the box on pop dots. sooo cute!! I love those colors too!! !